Brandon and Jerry talk with podcast producer Jody Maberry as he reflects on how working with Lee Cockerell to produce the podcast Creating Disney Magic changed his life. Reaching out to Lee Cockerell may have been the biggest leap of faith Jody Maberry had taken early in his podcaster career. At the time, Jody was finding traction and success with the Park Leaders Show influencing park rangers to improve how they led in our nation’s parks. He served as a co-host on the Starve the Doubts podcast for a few episodes, and left shortly after a Nutella incident. That’s when he decided to go for it. The Disney way of doing business and customer service fascinated Jody. Lee Cockerell had just gone into retirement after many years serving as a Walt Disney World executive. Lee is the man who opened Disneyland Paris and implemented many changes we see today in how Walt Disney Resorts are operated. In our episode this week, you’ll hear about how Jody reached out to Lee, and the surprising discussion that ultimately led to the start of the popular podcast called Creating Disney Magic which focuses on success in your personal career and delivering top notch customer service. As Creating Disney Magic gained momentum, both Lee Cockerell and Jody Maberry experienced doors opening for them they could not imagine. The world craved learning about Walt Disney leadership philosophies and practices. Lee and Jody have expanded the reach of Creating Disney Magic to include speaking engagements that now include Jody on the stage! Books have been published under the banner of the show such as Time Management Magic, which helps readers apply the skills used by Lee Cockerell to make the most out of a day. Jody Maberry is the narrator for the audio version of Time Management Magic. A spinoff show recently launched with Jody Maberry working alongside Lee’s son, Dan Cockerell. Dan is another former Walt Disney leader sharing his insights on the Disney way of leadership. That show is called Come Rain or Shine with Dan Cockerell. The title is derived from how Dan’s executive assistant was empowered to kick him out of his office rain or shine every day so he could connect with Disney Cast Members. The latest show from Jody Maberry is a joint venture with another former Disney leader, Jeff Noel who enjoyed a 30-year career with Walt Disney Company. That show is called If Disney Ran Your Life applying Walt Disney leadership principles to your personal life. It’s about how to create Disney magic in your own life! 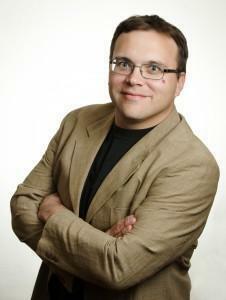 Jody Maberry is a marketing consultant, copywriter, and customer experience strategist, known as the Business Ranger. He spent several years as a park ranger, studying the reasons why parks are some of America’s favorite places. As a park ranger, he was deliberate about helping people create a story worth telling. Jody now helps businesses and individuals gain an outside perspective. He is the host or producer of eight active podcasts and runs a profitable business in the podcasting space. Jody’s work helps others brand, package, and deliver their message to a world that needs to hear it. 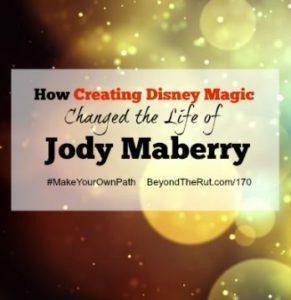 Jody’s most notable work in podcasting include “The Jody Maberry Show” where he shares insights on branding, customer service, and on being a small business owner, and “Creating Disney Magic” which focuses on the career and customer service wisdom of former Walt Disney World and Marriott Hotels executive Lee Cockerell.